Our Monarchs Club is for Butterfly Coins zealots! You become a member when you commit to a monthly donation as small as 10 dollars (only 33 cents per day). Club funds are used to promote the Butterfly Coins movement in larger, more public ways: substantial random acts of kindness to those most in need, events, and PR initiatives. As a Club member, you’ll have access to our private Monarchs Club Forum, where we discuss and take feedback on what we’re planning and doing with the Club funds. 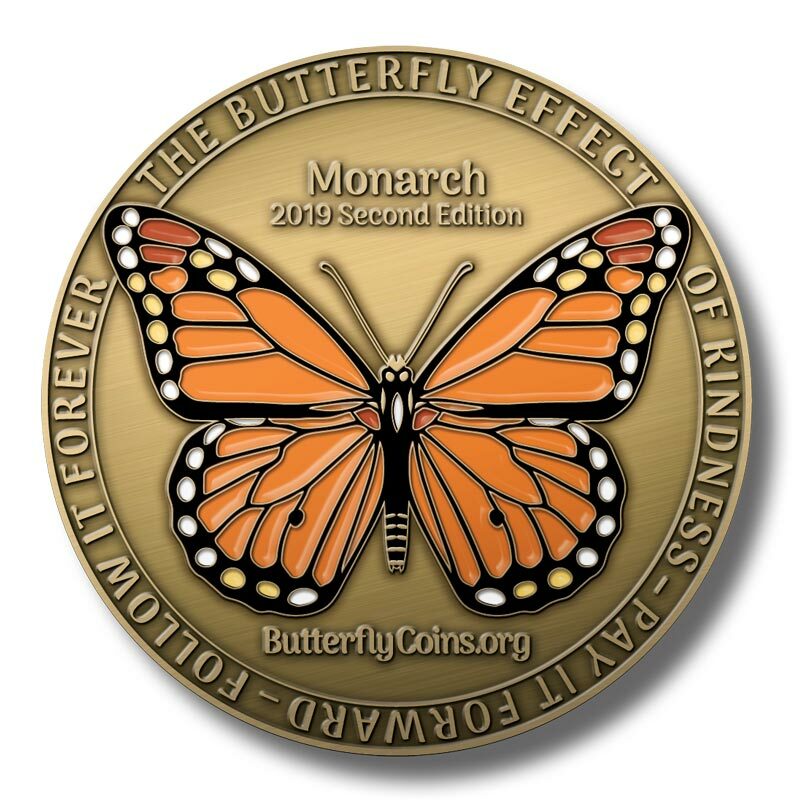 You’ll also get a little monarch icon on your avatar across our entire site, signifying your ongoing commitment to supporting the Butterfly Coins mission at the deepest level. We know you’ll appreciate the serendipity of the Monarchs Club, and seeing the real impact your generous donations make around the world. Thank you for considering joining, and please know that you can easily cancel your membership at any time. Your support means everything to us! Thank you in advance for your generous donation of at least $10 per month!